With just one look, you know exactly what it sounds like. 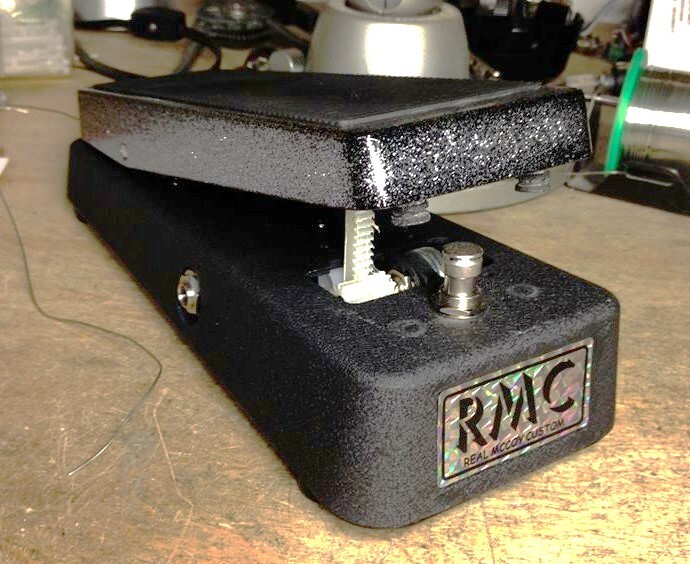 Just like all RMC wahs, the RMC10 is developed and built by Geoffrey Teese and includes licensed Foxrox Electronics fuzz-friendly technology, true-bypass, easily adjustable rocker tension, and AC adapter jack, and is covered by our limited one year warranty. Geoffrey and his wife worked really hard in 2013 to be able to bring this classic piece to reality. To call it a labor of love is an understatement. It is with great sadness that Stephanie died before we could release the RMC10. We dedicate this pedal to her, for her Vision, her Trust, her Love, her Light.